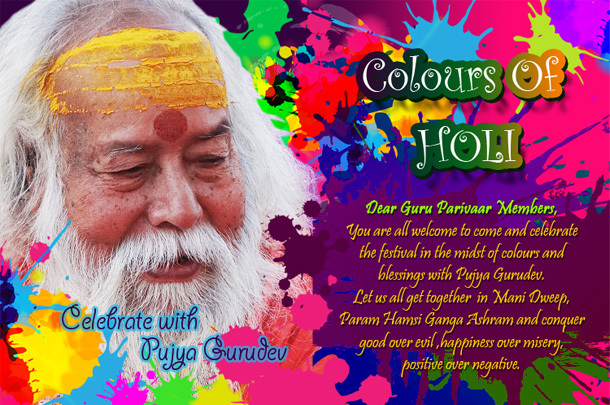 You are all welcome to come and celebrate the festival in the midst of colours and blessings with Pujya Gurudev. Let us all get together in Mani Dweep, Param Hamsi Ganga Ashram and conquer good over evil, happiness over misery, positive over negative. 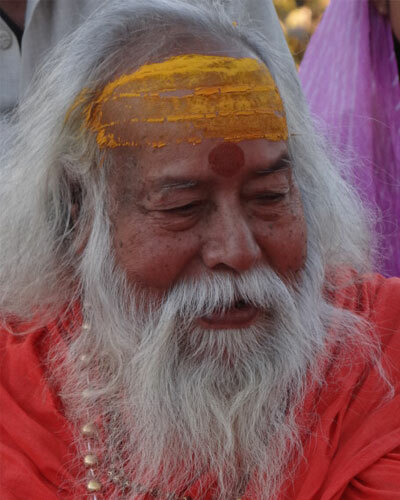 Dandi Swami Amritanand Sarasvatiji, Sanskrit Widwan with Gurudev. 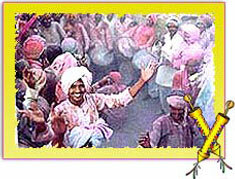 Integrally entwined with Holi, is the tradition of ‘Holika Dahan’, which is actually lighting of bonfires. 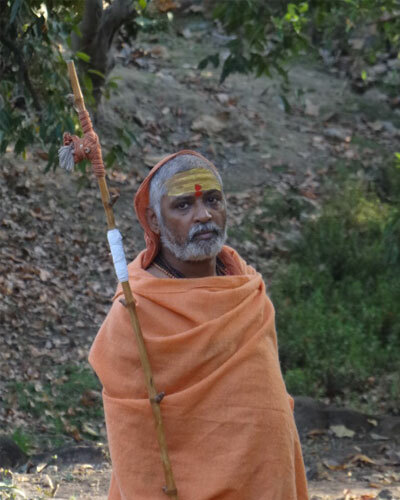 The ritual is symbolic of victory of good over evil and has its root in the legend of demon king Hiranyakashyap who wished to end his blessed son, Prahlad’s life with the help of his sister, Holika who burnt in the fir and no harm occurred to Prahlad. Since then the day is celebrated in victory of good over bad.